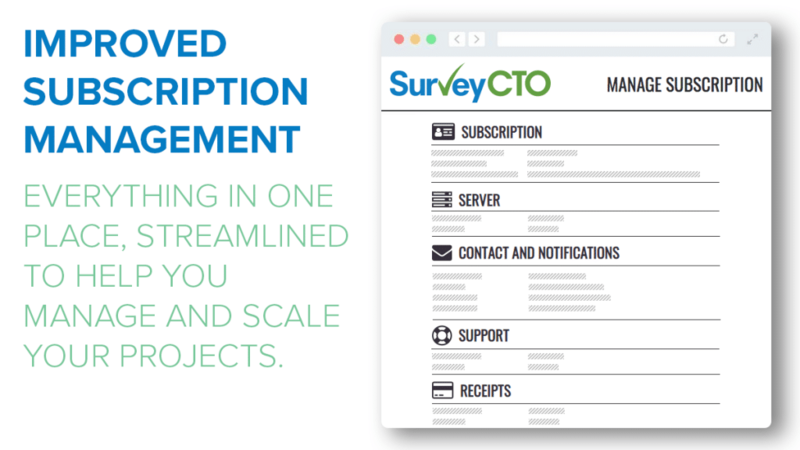 SurveyCTO 2.50 introduces a new team-based subscription model so you can easily add multiple projects to the same subscription, each with their own secure space, and scale usage as needed. Or just have a single-team server. 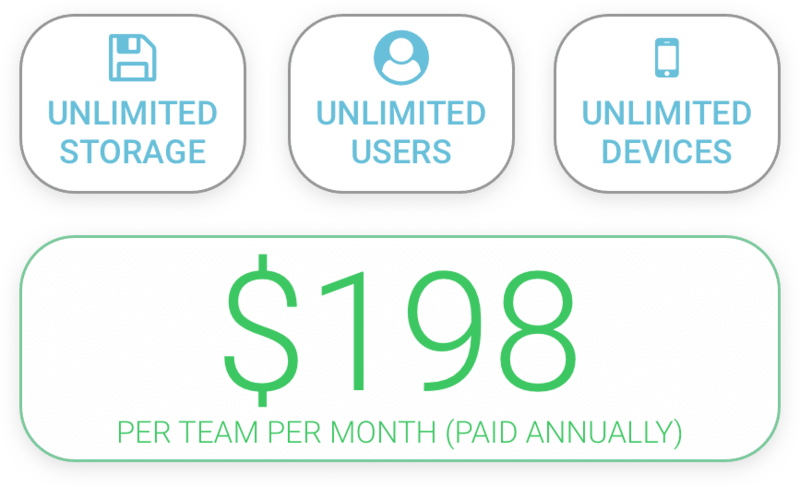 Either way, with 2.50, everyone gets a single, transparent pricing plan, access to all SurveyCTO features, unlimited storage, and much more! 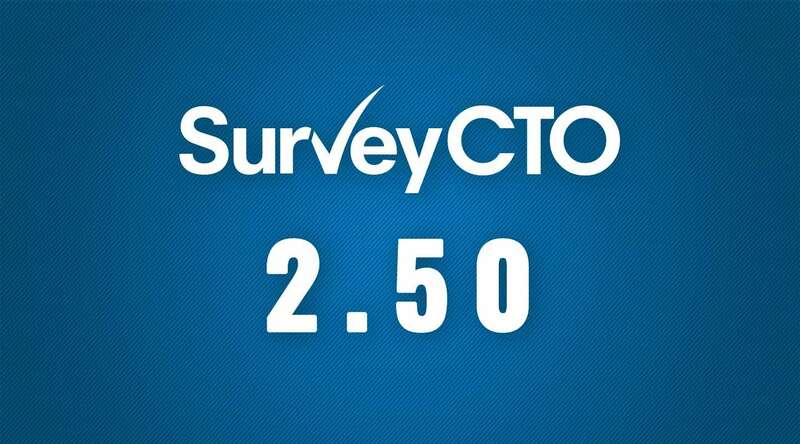 Since 2012, when SurveyCTO was first launched, it has been Dobility’s mission to bring you a quality product, a responsive and helpful support team, and innovative features without having to compromise on security and reliability. And so we’re proud to release our latest version, 2.50, which now introduces more flexibility to our product offering. 2.50 has collapsed all subscription models into a single, scalable subscription plan which allows you to more easily manage all parts of your data collection: projects, people, and even payments. 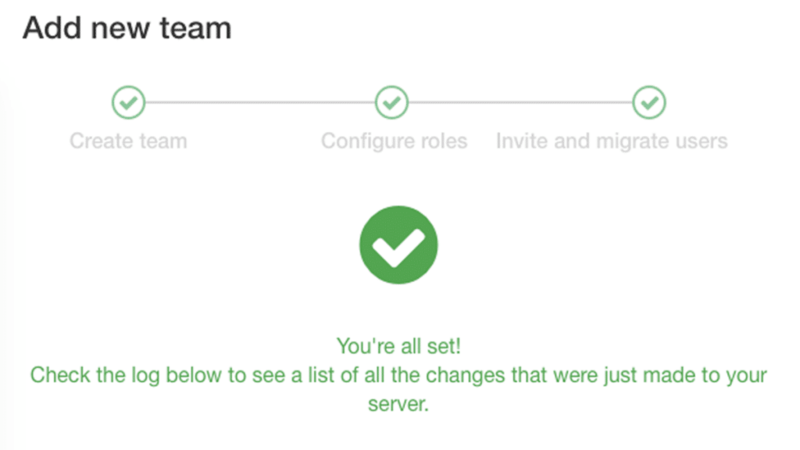 Now you can start with a single SurveyCTO team and scale your use as needed. With the new team creation wizard, within a few clicks, you can add teams as projects launch, and, just as easily, remove teams when you complete your data collection. With a new internal support query system and monthly usage reports, management of multiple teams with various timelines and budget codes becomes seamless. With access to all features and the only limit being 5,000 submissions team/month (with a flexible option to “top up” extra submission credits anytime, for just $20 per 1,000) only pay for what you use and get a discount for bulk purchases. Improvements in subscription management let you choose exactly how – monthly charges or pre-purchased credits – you’d like to handle billing. The SurveyCTO team structure allows multiple teams to securely share a server while restricting access to each team’s forms and data. 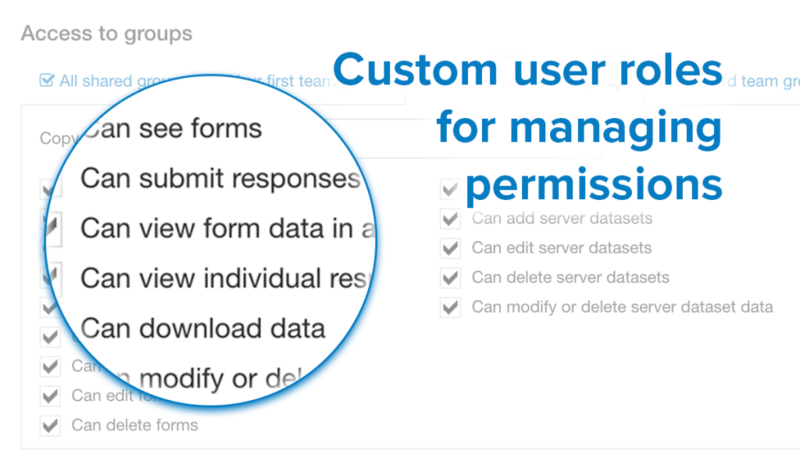 To provide even more fine-grained access control, 2.50 also introduces the ability to create totally customizable user permissions. So you control exactly which forms and data users can access and exactly what type of access they have to those forms and data. Building off our data quality classification functionality introduced in April, 2.50 now allows you to collect data from device sensors for better quality control for your projects. 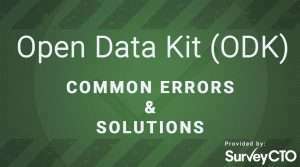 Easily program the collection of light, sound, and movement sensor data streams and summary statistics into any survey form, to get indirect indicators of data quality. 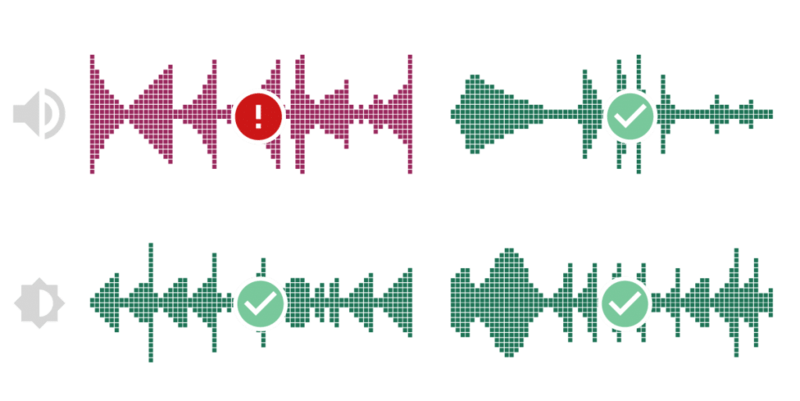 For example, audio sensor data can be used to estimate the percentage of an interview’s duration in which a conversation was happening, and light sensor data can help determine how much of an interview was done indoors vs. outdoors! We’ve always put security first, and continue to add ways to protect your projects’ respondents and data with 2.50. Single-sign-on (SSO) support for authenticating users via external authentication systems, such as Google, Okta, or Microsoft Azure AD is now available for all users. 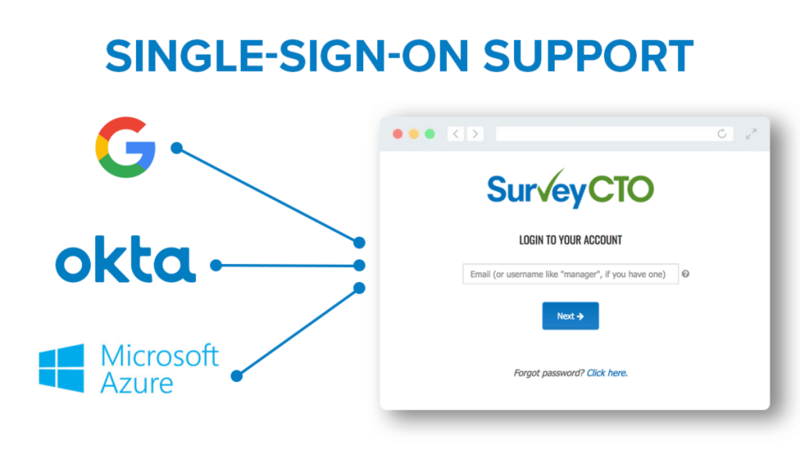 Now you can seamlessly and securely sign into SurveyCTO, and manage your users’ access to SurveyCTO, using your organization’s central authentication system. Read the full release notes, and even check out the latest version of the SurveyCTO Collect app, now available in the Google Play Store. As always, we want to hear from you. Email us at sales@surveycto.com or submit a support request with any questions, comments, or feedback!